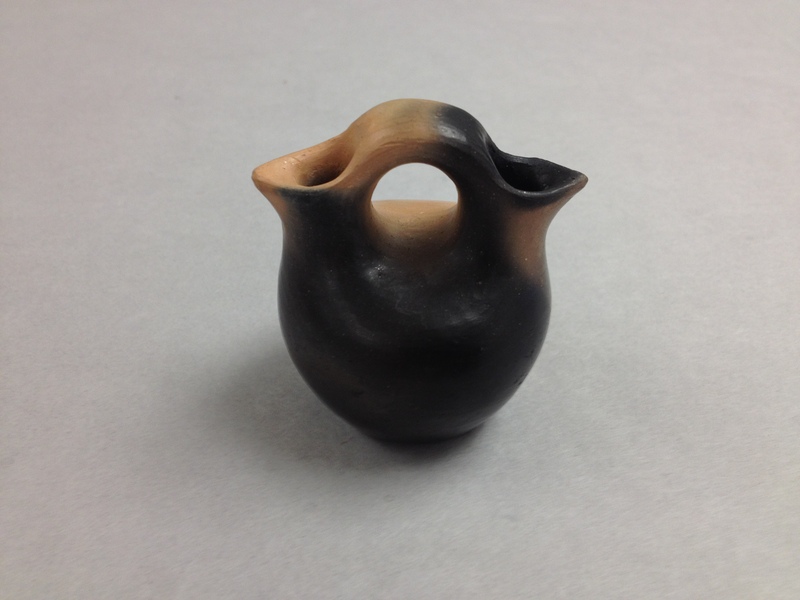 A very small “wedding jug” by Eastern Cherokee potter Maude Welch (1894-1953). William C. Sturtevant collected this piece from Ms. Welch on September 15, 1951, about two years before her death. Drawing upon her experience visiting Catawba potters, Mrs. Welch was central to the revitalization of pottery making among the Eastern Cherokee. A rich profile of her and her work is available online from the Western Carolina University library. It was authored by M. Anna Fariello.